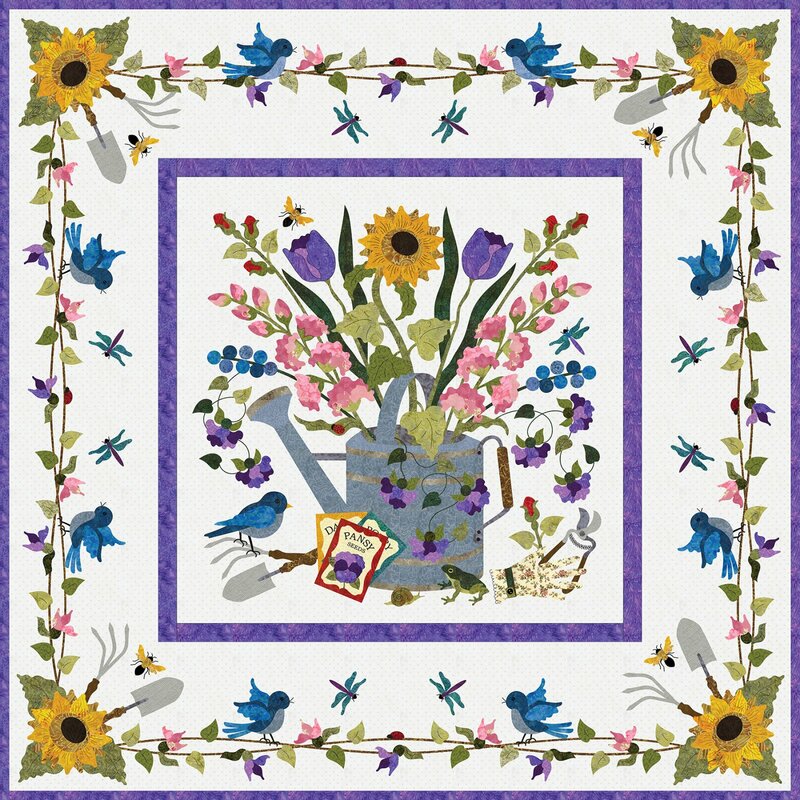 Bring Spring flowers in to your home with is 42” x 42“ Spring Bouquet wall-hanging. The life size watering can is filled with lots of spring flower, garden tools and few garden friends. Pattern is full size drawing for appliqué block and border repeat printed on 28” x 40“ pattern insert. Design can be used for fused or hand appliqué or uses your favorite appliqué Method. Pattern include Pearl’s Easy hand appliqué techniques, easy fused instructions and embroidery instructions. I used my computer and printer to make my lettering have just the right size and font. 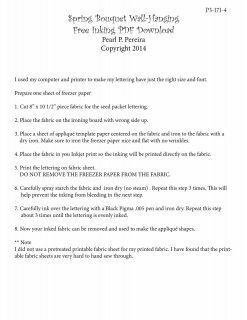 Click the link below to print out your Free 3 page inking instructions.